What started with Summer Camps has gone forward, with your support, to become the provision of education for all grades of schooling. 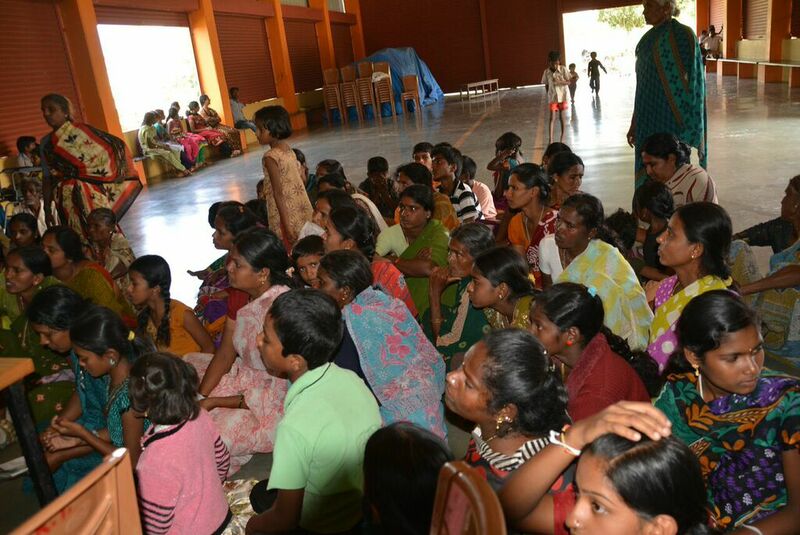 Over the years, and increasingly each year since the inception of SSRKP, Amma has increased the support given to the village children and families of Karekura each year. 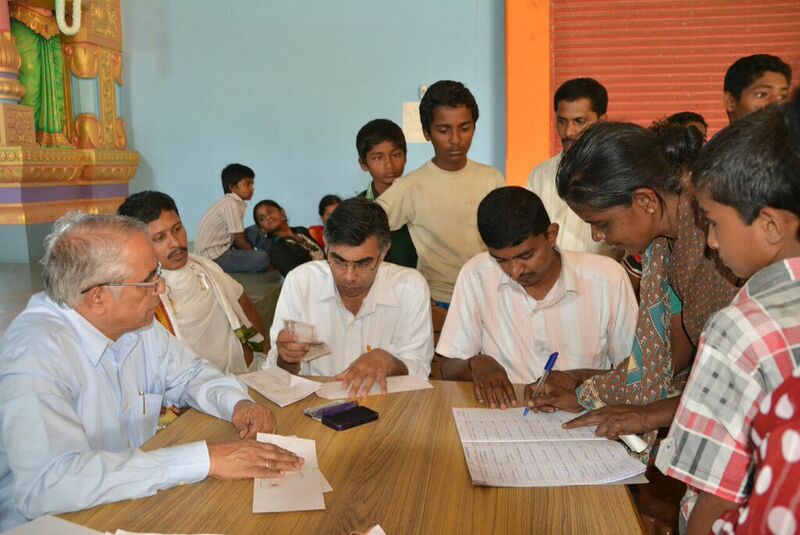 Each year, parents are now given the tuition funds to send their children to school. Without this assistance, the children would not receive the opportunity for proper education and achieve a higher standard of living for both themselves and their families. The raising of the ability to achieve for each student raises the entire village. 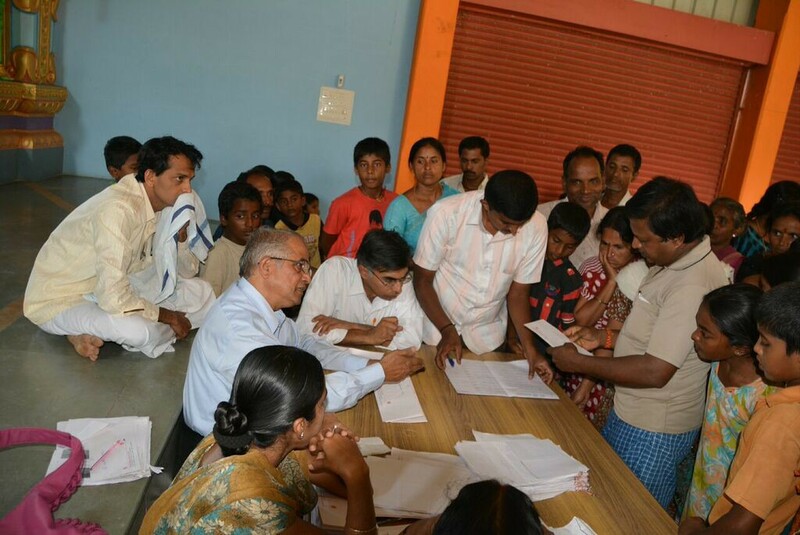 In these pictures we see the volunteers from SSR Trust register the children who arrive with their parents.